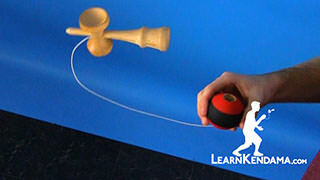 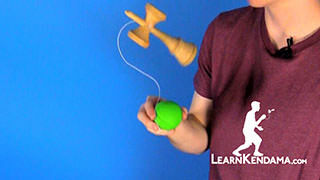 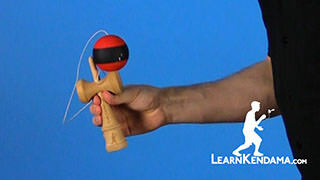 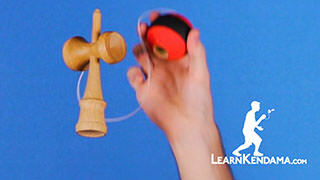 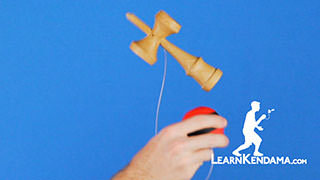 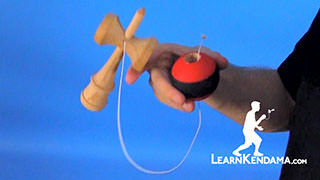 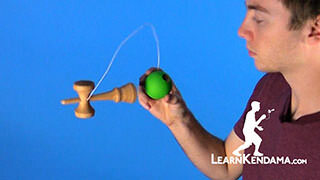 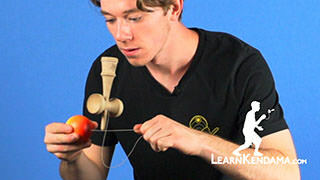 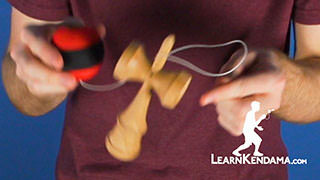 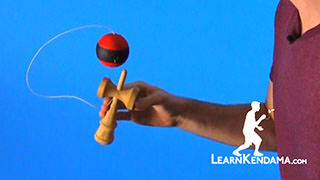 Learn how to do the kendama trick known as Underbird. 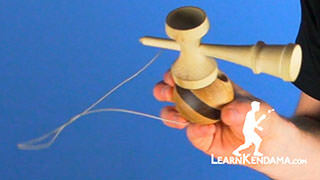 Now, in order to do this trick, you want to make sure you know Bird. 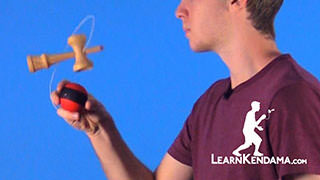 So if you have not seen that video, make sure you check that out. 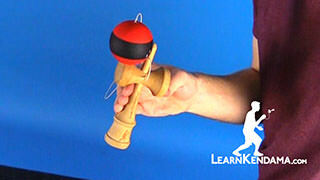 To start this off, we are going to be doing a modified sara grip. 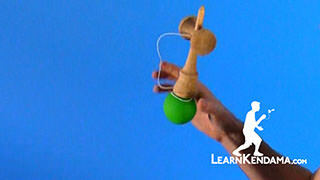 You are going to take two or three fingers on your dominant hand and place them on the spike, away from your body. 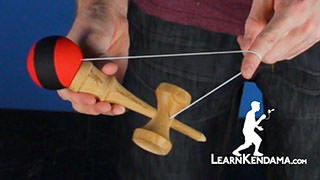 Then you are going to take your thumb and rest your thumb on the small cup and push up against the handle of the ken right here. 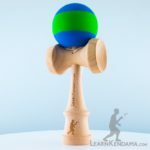 This is going to provide a really strong and balanced grip, and it is going to make it a lot easier to catch the tama this way. 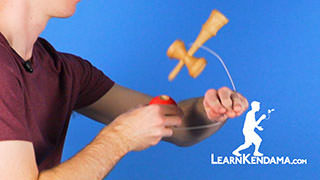 Then you want to make sure that the base cup is facing towards you slightly. 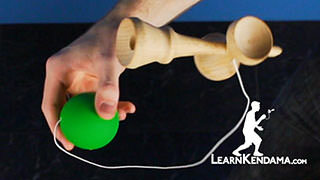 That way the ball can rest up against the ken. 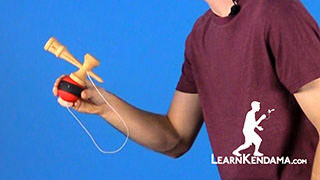 It will not fall off if it is straight up. 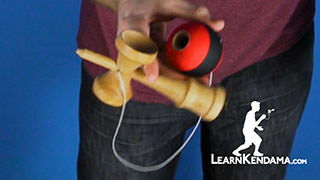 Then you are simply going to pull the tama up just like you would in a bird, so the hole is staying down the whole time. 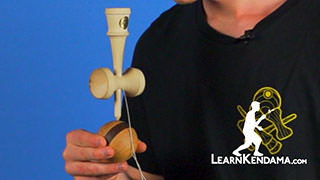 Catch it on the base of the big cup. 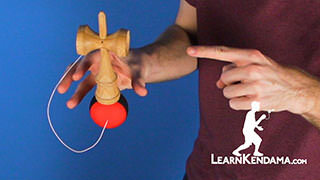 And that is Underbird.